Revitalize your Love life this spring, with Aspirations Inc.
Spring is in the air! It’s the perfect time to reflect on the climate of your relationship and identify area’s that might need a little “spring cleaning”. Improve the dynamic of your relationship. Learn how to connect on a daily basis. Build life long relationship skills. Aspirations Inc. can help you and your loved one! 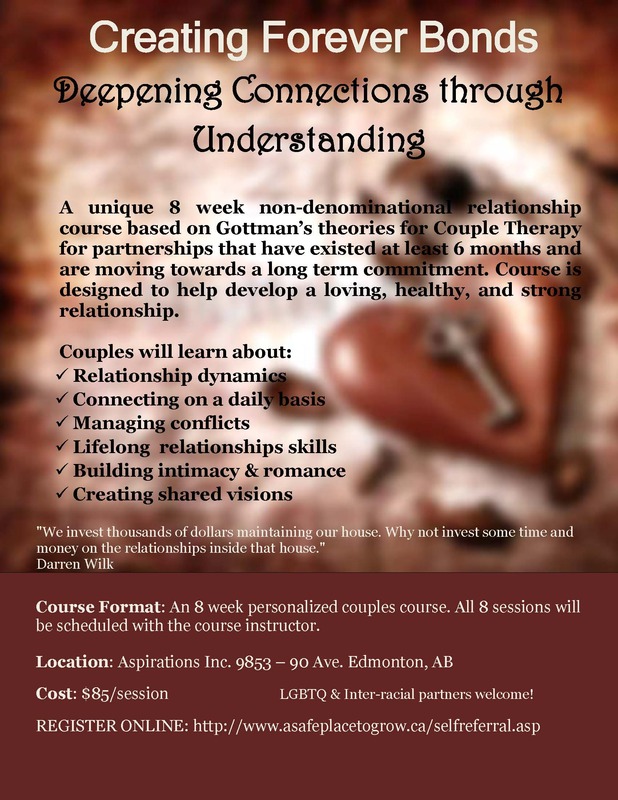 We offer an 8 session relationship course based off of Gottman’s theory for couple therapy for partnerships that have existed at least 6 months and are moving towards a long term commitment. This course is designed to help develop a loving, healthy and strong relationship. Course Format: An 8 week personalized couples course. All 8 sessions will be scheduled with a course instructor at first session. Upon time of registration your credit card information will be required to process the $65 non-refundable Registration Fee. Cancellation Policy: Cancellations up to 1 week prior to the first session will be refunded in full (minus the non-refundable Registration Fee). Otherwise, clients are responsible for the full Course Fee regardless of attendance.